*Authorized Techo-Bloc Dealer* Beautify your yard with our wide range of our landscaping materials. From the finest topsoil, color enhanced mulch, and nutrient enriched compost to patio pavers wall systems, Dragun’s has everything you need to complete your landscape projects. We have a vast array of textures, colors and styles available. Our products provide function and a lifetime of beauty to complete the toughest of landscaping challenges Dragun's Landscape Supply has the lowest prices, widest inventory, and largest displays in western Pennsylvania. Saving money is typically the goal of the do-it-yourselfer. We offer many tools for rent and advice to help you get the job done right without investing in a tool you may only use once. Our friendly staff can advise you and answer questions about your project. ALLGREEN, Inc. is committed to offering professional service and product knowledge to landscape contractors and homeowners alike. At ALLGREEN, Inc. the motto is “Our only limitation is your imagination.” Having served contractors and homeowner needs for over 30 years, ALLGREEN, Inc. continues to offer design help, product support, and efficient product availability to complete any outdoor project. 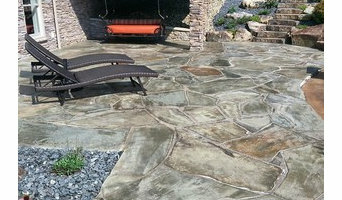 From pavers to walls, sand and sealers, to outdoor lighting, we have it all! Delivery available right to your job site. ALLGREEN, INC. has a large outdoor display of paving stones and retaining walls featuring Unilock, Techo-Bloc, and Oberfields. 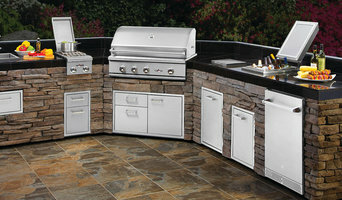 Impress your guests with a customized outdoor kitchen by installing an built-in grill insert, doors, drawers, and side burners, from Twin Eagles or Delta-Heat. Let us help create your backyard paradise. Can we suggest a fireplace or fire pit? Bosetti Lawn Care is a Lawn & Landscape Company based out of McKees Rocks, PA Serving Commercial & Residential Clients. We are dedicated to RELIABLE services at REASONABLE prices, Specializing in gravel driveways & commercial property maintenance. We are proud to present an extensive collection of quality annuals, perennials, trees and shrubs, and water plants. All of our hardy plants are appropriate for Western Pennsylvania gardens. Our garden center is filled with truly unique items for your garden and home, including handmade artisan pottery and jewelry. We refresh our stock with new and exciting items for every season. Knowledgeable staff members are happy to help you select plants to suit your needs. We are also here to help solve problems that you might encounter in growing them. You’ll also find that we offer a full line of garden products—everything you need to care for your plants and yard! Creekside Landscape Supply has the products and resources to make your dream a reality! 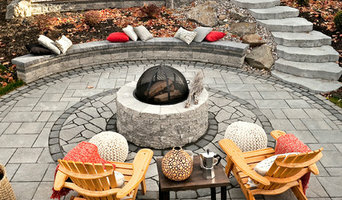 We are your "one stop shop" for landscaping and outdoor living projects. We promise to offer our customers the best quality products and service. You can conveniently pick up supplies at our yard or we can deliver them to your home or job site. Regardless of your outdoor project, we will work with you to ensure that it comes out exactly as you have it envisioned! Wolfe Nursery takes pride in providing quality nursery stock, growing over 90% right here in Hempfield Township. We grow shade and ornamental trees, flowering shrubs, conifers and perennials. It is a huge advantage to our customers, garden centers, and local landscapers to have plant material already accustomed to our severe winters and Pennsylvania soils. We also offer landscape design service for the "do it yourself" customer. Our family is here for you from beginning to end. Nittany Landscape Contracting and Lawn Service, Inc. was established in 2006 by owner Bill McDowell. While persuing a logistics degree at Robert Morris College, summers were spent working at a local landscape company. After graduation and accepting a position in the transportation field, Bill decided that working outdoors in landscaping was where his true interests were. Going back to school at Penn State University, he completed a degree in landscape contracting. With this knowledge and 17 years experience, Nittany Landscape has grown to a full service design/build landscape contracting company. With an experienced staff, Nittany Landscape strives to provide our customers with prompt, professional, and high quality services. Using top of the line materials and shrubs, we ensure your job will last for years to come adding beauty and value to your property. Call to schedule an appointment. Join our list of satisfied customers, making your landscape dreams come true. Inks Landscaping was established in 1996 and proudly serves the South Hills communities. Our goal is to give outstanding service, the best materials and quality workmanship to our customers. The Bee Hunter is a Pittsburgh Bee Removal and Wasp Control company specializing in the removal and prevention of Bees, Hornets, Wasps, and Yellow Jackets, as well as other stinging insects. The Bee Hunter is located in Pittsburgh, PA and services all of Southwestern Pennsylvania. Jim Abraham, aka The Bee Hunter, will quickly and safely exterminate bees, including ground bees, hornets and wasps. The Bee Hunter is a licensed, insured and bonded professional with over 25 years of experience. His work is warranted in writing. The Bee Hunter will get rid of your bees and other unwanted stinging insects, including hornets, wasps, carpenter bees and bumble bees. Call me, The Bee Hunter, 24/7 at 412-965-2448 to safely and quickly get rid of your unwanted bees. We were founded in 1970, by Harry Carson, Sr., and built on the idea that all of our products should be exceptional in design and quality for an excellent value. A lot has changed over the last 40 years and we now have grown into a wholesale distributor of exclusive gift and inspirational merchandise, as well as garden decor including wind chimes, outdoor decorative flags, novelty items, fashion accessories and apparel. We believe that as a retail store, you should have access to buy merchandise that inspires you and your customers. Today, we are still committed to the same philosophy that we were founded on over 40 years ago. The passion we have for our customers is in our minds every step of the way — through product development, design, production, and shipping. That's the philosophy we bring to the table every day. Our in-house designers — along with the industry's leading licensed artists — create and draw inspiration from across the globe to give you unique collections. We collaborate with our global business partners to offer you these products at an incomparable value and to make sure our quality standards are being achieved. We believe that the details make the difference. 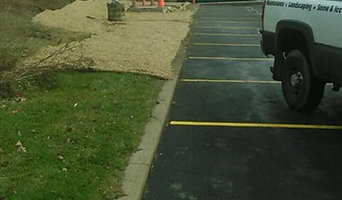 We offer the best Landscaping services in Pennsylvania area. Please contact us for all of your landscaping needs! What garden supplies can I get from Wexford, PA garden centres and landscaping retailers? If you’re going for a complete overhaul of your garden, then you’ll probably need soil, turf, large plants, trees, decking or patio materials to make a start. Wholesale garden suppliers in Wexford, PA will be your best option for all the basic garden supplies, so get in touch with them to discuss your needs. Once you have the foundations of your garden sorted, then the adorning and decorating can start, which is where Wexford, PA garden centres will become your new favourite haunt. From seeds, small plants, garden ornaments and plant pots to the bigger structures such as pergolas, greenhouses, garden furniture, water features and planters, garden centres will offer a wonderful range of garden supplies and accessories to help you lade your garden with lovelies. Find specialistWexford, PA garden suppliers if you’d like more uncommon garden features, like fire pits, garden sculptures, raised flower beds or special garden lighting. You can even find vintage garden accessories from some retailers if you want the shabby chic, eclectic garden look. Garden suppliers and landscape supply professionals in Wexford, PA will be able to offer advice on the suitability of certain products for your garden design and possibly assist with the installation and maintenance of your garden supplies and features. You may wish to involve a garden contractor or landscaper in your garden supply choices, as they will also have a clear idea of what materials and items are best. They may also be able to recommend Wexford, PA garden centres in your area that they have worked with before. Here are some related professionals and vendors to complement the work of garden & landscape supplies: Landscape Contractors, Main Contractors, Landscape Architects & Garden Designers. 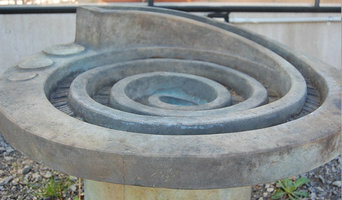 Find landscape and garden supplies on Houzz. Search the Houzz Professionals section for Wexford, PA garden centres and garden suppliers. Browse photos and read reviews. You can also explore full-service Wexford, PA landscape architects and garden contractors.